Tim Cook uncorked a load of surprises during the WWDC 2017 keynote. If you felt worried about Apple’s supposed lack of innovation, today’s action-packed WWDC keynote should have allayed your fears. Apple execs sprinted through a 2.5-hour technology showcase filled with hardware updates, serious software upgrades and even a whole new product category. The whirlwind presentation showed the end result of a busy company with almost unimaginable assets. Far more than a sleepy kickoff to an annual developers confab, today’s stunning presentation showed the magical output of an innovation machine firing on all cylinders. Anyone who pegged Tim Cook as asleep at the wheel better think again. Here are the key takeaways from Apple’s Worldwide Developers Conference 2017 keynote. Each year at WWDC, Apple showcases the new features destined for its operating systems in the coming months. More importantly, the company uses its annual keynote to offer developers — and the rest of the world — a peek at Cupertino’s long-term ambitions. 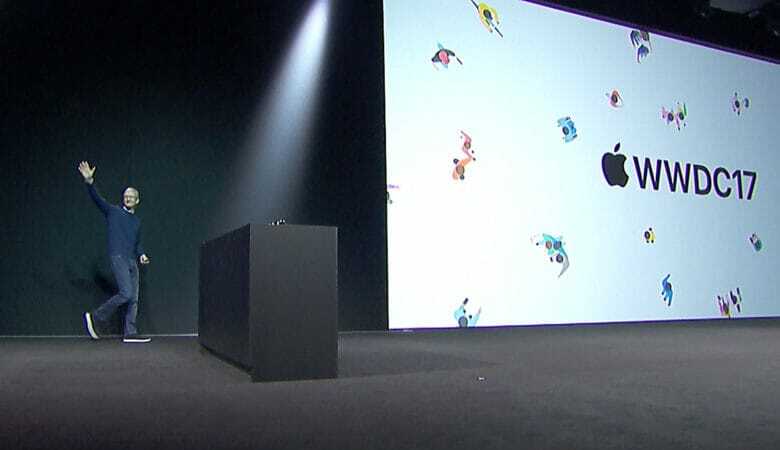 WWDC is where Apple broadcasts its vision for the future. iOS 11 brings plenty of powerful new features. With iOS 11, Apple is packing in more new features than ever in what looks to be the biggest update ever released for the mobile operating system. A smarter-than-ever Siri and new machine learning features mean your iPhone and iPad will be more proactive about making suggestions and displaying notifications. The revamped Control Center finally adds customizable buttons, which basically turn your iPhone into a remote control for your life. Big improvements will make Messages even more useful, and Apple finally is diving into augmented reality with iOS’ new ARKit (more on that below). The iPad got some much-needed love on the software side of life today, too. iOS 11 finally makes the iPad a viable PC replacement by bringing powerful productivity tools to Apple’s tablet. System-wide Drag and Drop lets you move photos, music, files and more in between apps. “It’s a dragfest!” said Apple Senior Vice President of Software Engineering Craig Federighi. Plus, a new Files app allows you to organize documents, photos and other files the way you want. And the new app dock at the bottom of the screen brings some macOS-style usability features that will make you miss your Mac less. “iOS 11 really takes iPad to a whole new level,” Apple CEO Tim Cook said. 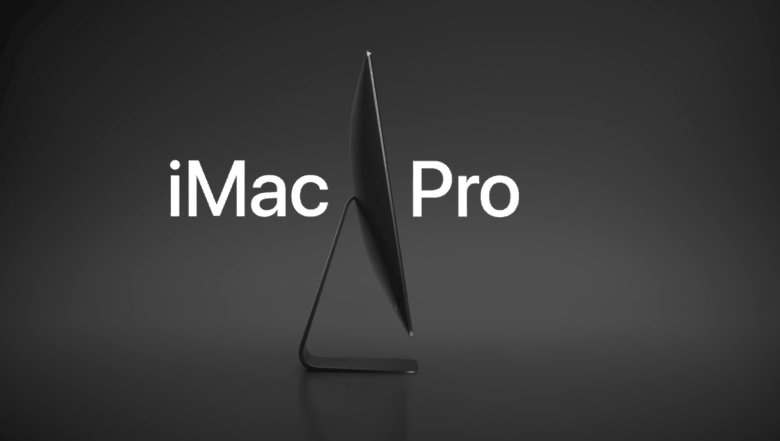 The new iMac Pro brings awesome firepower to the desktop this December. After years ignoring the Mac Pro, and 2016’s divisive MacBook Pro launch, Apple clearly lavished some love on its computer lineup over the past year. First, today’s WWDC keynote rolled out the expected upgrade to the Mac’s core operating system. Dubbed macOS High Sierra, it will bring Apple’s vaunted APFS file system to all Macs, which means some stunning speed bumps for existing machines. 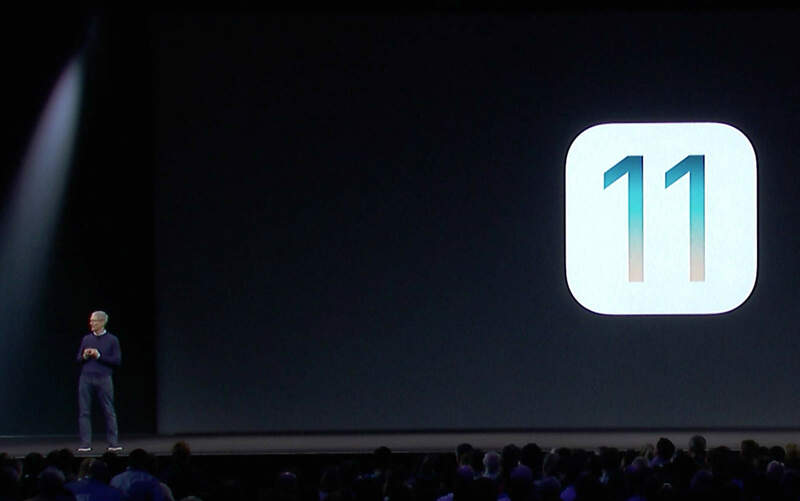 Tim Cook has been boosting augmented reality for a while, and today he finally revealed the fruit of Apple’s efforts: a full-featured API platform built into iOS 11. Called ARKit, the AR programming tools will allow iPhones and iPads to add virtual objects to any scene by detecting things like depth, surfaces, ambient light, motion and scale. In an onstage demo, a real-world tabletop got covered in virtual objects like a lamp and coffee cup, which interacted with each other (the coffee cup cast a digital shadow when the lamp next to it lit up). An impressive game demo showed a spaceport under attack from virtual spaceships that flew above and around the table. The result will be a slew of apps capable of introducing virtual objects that know about — and interact with — the real world. This will turn our iPhones and iPads into “the largest AR platform in the world” virtually overnight, said Craig Federighi, Apple’s senior vice president of software engineering. 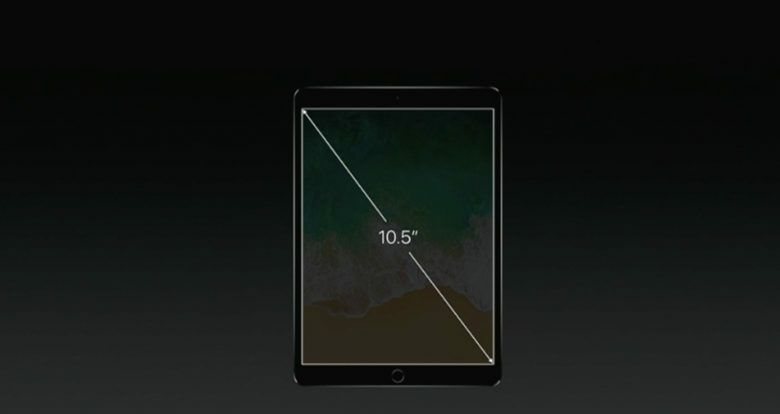 The 10.5-inch iPad Pro brings a bigger display in a familiar form factor. With Apple’s latest A10X Fusion processor, the new 10.5-inch iPad Pro packs the best performance of any iPad ever. It also sports the best display yet: It refreshes at 120Hz, delivers 600 nits of brightness, and brings True Tone, wide color gamut and HDR video support. Then there’s a new feature called ProMotion, which combines hardware and software acceleration to boost display performance and make Apple Pencil even sharper than ever. All that tablet-y greatness gets jammed into the 9.7-inch iPad form factor we’ve come to know and love, and the bigger screen means the 10.5-inch iPad Pro offers a full-size onscreen keyboard (and works with a full-size Smart Keyboard). Kevin Lynch shows off the new Siri watch face for Apple Watch. Apple continues to refine the UI for its popular smartwatch with watchOS 4. Some nice Siri upgrades — including a new Siri watch face — will make Apple Watch more powerful than ever. New machine-learning tricks will enable the digital assistant to predict what you’ll need or want before you even know it. “This is an intelligent, pro-active assistant — right on your wrist,” Apple technology VP Kevin Lynch said of the new Siri watch face. A new Apple Watch dock will bring up apps faster. And Toy Story and Kaleidoscope watch faces bring even more variety to Apple’s supremely personal wearable. Apple’s virtual assistant gets dinged often for its sometimes inane inability to perform tasks that seem simple. But Apple isn’t giving up on Siri. If anything, Siri is about to become even more front and center on your Apple devices. HomePod can be asked sophisticated music questions. In a refreshing throwback to the good old days when Steve Jobs would delight the world with “one more thing,” Tim Cook showed off Apple’s latest product: a smart speaker called the HomePod. Still, the HomePod brought a little hardware razzle-dazzle to the WWDC 2017 keynote. Will it be bold enough to “reinvent the way we enjoy music in the home,” as Phil Schiller, Apple’s senior VP of marketing, predicted?